The Bachelor of Science in Business Administration - Concentration in Marketing will prepare students with the people, communication, creative, and time management skills necessary to successfully manage marketing functions of organizations. The business core courses provide the fundamentals of business operations, management, ethics, human resources, international business, and communications. The focus of the Marketing Concentration is on the latest principles and technologies in today’s high-tech business environment including sales, marketing research, consumer behavior, advertising, ecommerce, web page development, and retail management. The curriculum provides basic marketing knowledge and experience that is useful across a range of industrial, commercial (including small businesses), and non-profit environments. The Marketing Concentration will prepare students for positions related to the creation, pricing, promotion, and distribution of goods, services, or ideas. More specifically, graduates will be prepared to pursue careers in sales, distribution, public relations, advertising, marketing research, retailing, new product development, and global marketing. The Accounting and Business programs have been accredited by the Accreditation Council for Business Schools and Programs (ACBSP). Opportunities may exist in the following positions: social media manager, social media analyst, digital advertising analyst, digital content designer, data manager, marketing specialist, sales account manager, advertising account manager, digital marketing manager, customer relations manager. According to the Bureau of Labor Statistics, the median annual wage for advertising and promotions managers was $117,130 in May 2018. The top 25 percent earned more than $163,370. 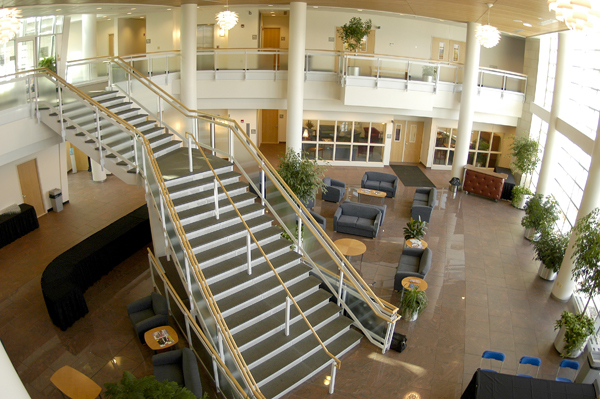 This major is subject to the transfer standards established in the College Catalog (http://www.pct.edu/catalog/TransferringCredits.htm). Exceptions must be approved by the school dean.